The easiest way to build a title contender is to predict the meta and patch the playoffs will play in and build a team designed to dominate that particular meta. More realistically, a championship Overwatch League roster should not be heavily reliant on a pre-existing team core, should have a true flex DPS player and should be more flexible than just six players. Back in May of 2017, Sideshow wrote an article about transfers winning championships and teams winning because they were built for a specific patch. 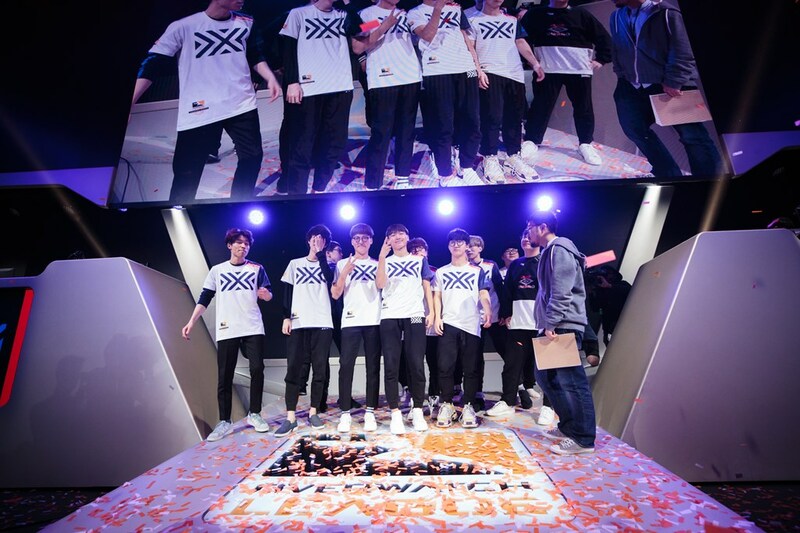 Lunatic-Hai, regarded as the best in the world pre-OWL, was a prime example with a team built to succeed in Lúcio dive. However, that strategy to building rosters changed with the introduction to the Overwatch League. Rather than six players rosters meant to dominate over a couple of months, teams now had to build rosters of up to 12 that had to show strength over the course of half a year. While transfers could and did happen in the Overwatch League's first season, they occurred much less regularly than pre-OWL transfers and could not be done as easily. The top teams that existed before the Overwatch League were not the top teams when the Overwatch League started, after all, everyone improved. While many (including myself) pegged the Seoul Dynasty and the Dallas Fuel near the top before the season because of past results. Both teams failed to make the playoffs. Obviously, these two teams picked up more players than just the core roster they built around and their problems went beyond just the performance of those players, but many of the successful teams in the league found themselves moving away from relying on the team cores they built around. The London Spitfire may be the best example of this. 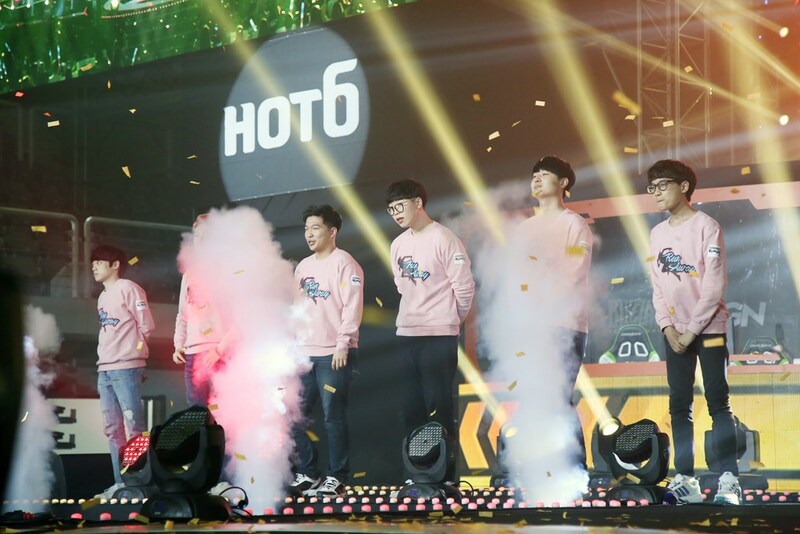 The franchise signed all of GC Busan, most of Kongdoo Panthera and two other Korean players from different teams before the season started. The Spitfire experimented with their lineups for much of the season but finally settled on a team that looked nothing like either of the two cores they built around. Of the seven players still on the Spitfire roster, three are from GC Busan, two are from Kongdoo Panthera and two come from other teams. With NUS getting more playtime at Mercy than Closer, the team generally runs a lineup that contains no more than two players from any one team. 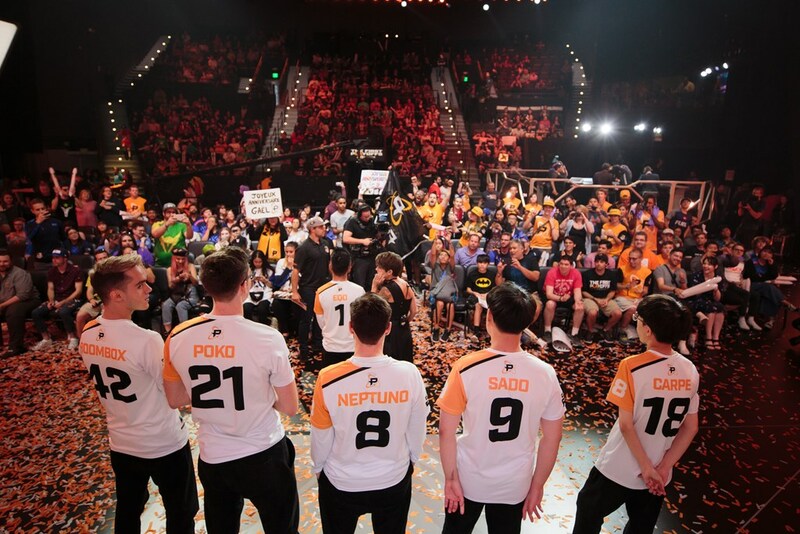 Not only was the best path to victory pre-OWL reliant on patch dominance, but every team can be improved once it hits the Overwatch League. Regardless of patch, Team Envy was the best team North American, and possibly best Western, team out there. The team attempted to upgrade for the Overwatch League and added three more players before they became the Dallas Fuel. Even with those upgrades and their prior stature, the team was far from being the best Western roster in the Overwatch League. They simply didn't do enough to improve their roster. This isn't to say Element Mystic, Runaway new or old, or any other Contenders favorites won't be decent as full rosters in the Overwatch League, but it is saying that they won't be championship rosters, at least not without additional pickups to improve them. Of course, many might argue the New York Excelsior prove that this rule to building a championship roster is moot because the team is heavily-based on LuxuryWatch Blue. 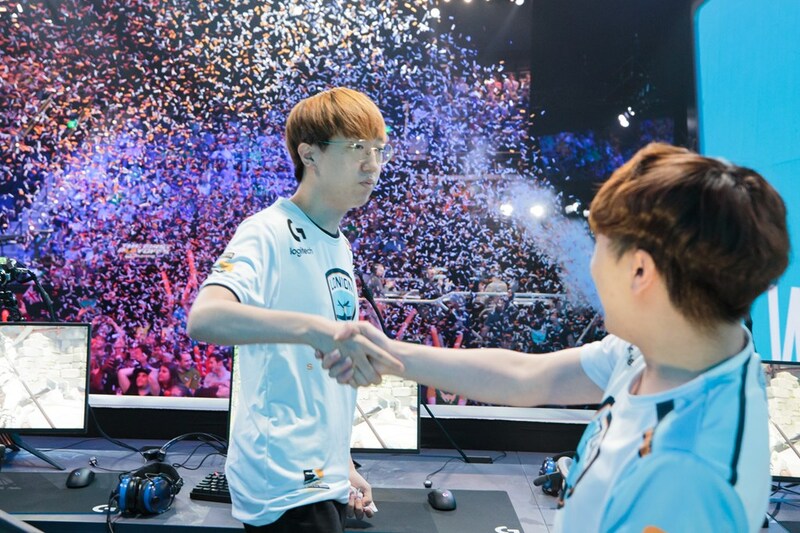 However, LuxuryWatch Blue began the process of improving its roster for the future before the Overwatch League even started. Only four of the Excelsior's nine-player roster ever played a match for LW Blue, and often times _NYXL is playing with only two of those players on the map at any given time. Mano and JJoNak never stepped onto the stage as members of LuxuryWatch Blue, only ever scrimming with the team before being picked up by the Excelsior. Another aspect of the Excelsior's success comes from outside of their LuxuryWatch roots and leads right into the next factor of championship teams. In general, flex DPS is often used to refer to the player that doesn't play Tracer/Widowmaker. However, that title is not really accurate. 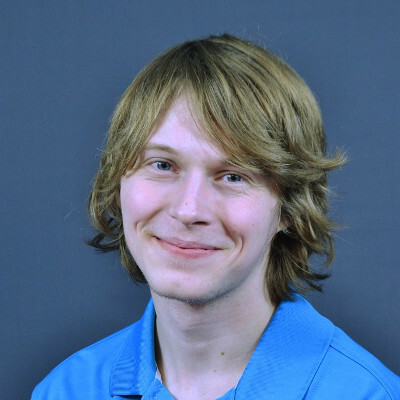 A true flex DPS player can play every DPS or almost every DPS at a high enough level to compete at an Overwatch League level. A true flex DPS should look just as comfortable on hitscan heroes as they do on projectile heroes, seamlessly transitioning between the two. A flex DPS player at the caliber of Libero, Profit or Eqo make transitioning from meta to meta between stages easier. A player that can easily pickup a hero that no one has seriously practiced in a long-time instantly puts their team at an advantage when it comes to learning a new patch. Prior to the Overwatch League, few flex DPS were needed and therefore few were developed. A team could normally get by running a player dedicated just to hitscan and another dedicated just to projectile, and if a team needed something else it was fairly easy to drop a player and add someone whose hero pool fit with the meta. Now that an Overwatch League season has passed, however, teams should begin to see the importance of developing flex DPS players. There are many players already in the Overwatch League who show promise of becoming flex DPS stars by showcasing their proficiency in some projectile characters and some hitscan characters. Overwatch League franchises could turn to their academy teams for the purpose of developing these flexible DPS players. 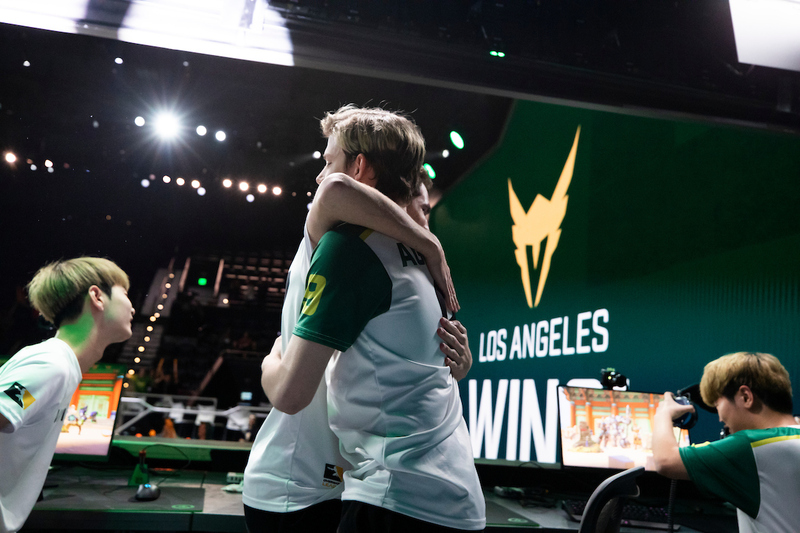 Young prospects still honing their skills could be nudged to try and master a broad range of heroes beyond what would currently get them wins in Contenders. This argument doesn't mean DPS specialists aren't valuable to the team and should be ignored. There is still a place for the hitscan specialist and the projectile specialist, and in fact teams should still have them to play alongside the flex DPS. Specialists only become a problem when the team is too reliant on them and has no player with a hero pool diverse enough to cross between hitscan and projectile as needed, limiting a team's compositions. If a team knows how to best utilize their DPS rotation around their flex(es) and their specialists, they will create a formula for success. In order for a team to have a proper DPS rotation, or rotation at any position, every player needs to be practiced. Rosters in which just six are ready to play at any given time limits the flexibility of the team and may put them in trouble in a pinch. Before the Overwatch League, it was normal for teams to field no more than six players, in fact it was unheard of for a tournament to even mention substitutions as a part of its ruleset. Teams didn't need more than six at that time because, as mentioned before, it was much easier and more common to make roster changes if a team couldn't adapt to the meta than it would be in the Overwatch League now. Overwatch League teams must be able to adapt to meta changes if they're going to succeed in such a long season split by major patch changes. Adaptability to new patches becomes much easier if a team has backups warmed-up and prepared to step in should a meta change make a starter uncomfortable. There were stories throughout the Overwatch League season about players festering away on the bench with no practice time. While teams should be prioritizing practice time for players who are planned to play in any given week, there should still be an effort to keep bench players fresh and ready to go. Despite not playing since Stage 2, Dayfly stepped in for the Fusion for two sets against the Boston Uprising. Throughout the season, Philadelphia players performed after coming off of long breaks or making season debuts. The bench looked well-practiced regardless of when it was in the season. The Spitfire may be used as an argument against this, recently cutting down their roster to just seven right before the playoffs. However, the Spitfire weren't just keeping their bench players fresh, they were trying to give them all playing time seemingly without an actual plan of how they best wanted to utilize them. As the season went along, lineup decisions seemed to progressively make less sense. The Spitfire are a rare instance of cutting the fat to improve the team. The New York Excelsior succeeded in keeping their bench players fresh, utilizing them well and not letting anyone be happy with playing time over the course of the season. Despite that, their bench was only three players deep and their season ended looking uncomfortable on the playoff patch. Maybe a few more additions that could have been more adept at playing outside of the core roster's comfort zone could have saved them. Still, teams should be looking to emulate the way the Excelsior handled their bench going into next season. There isn't any perfect formula to build a championship roster. A lot of factors go into making a team a winner and beating out all the other top teams in the season. However, there are ways to make it more likely. If expansion teams and current franchises attempting to rebuild enter next season thinking beyond roster roster cores, they open themselves to a team with limited possibilities and synergy that can be built. If they focus on finding a solid flex DPS player, they open themselves up to lineups with fluid compositions and limitless adaptability. If they think beyond the starting six, they enable greater flexibility and more reliable backups should something go awry. A team can't guarantee itself a championship in the preseason, but it can certainly prepare itself to be a top competitor for the title. Damn you Scrubasaurus if you go on like this, we'll lose you too to OWL! As usual great article mate.